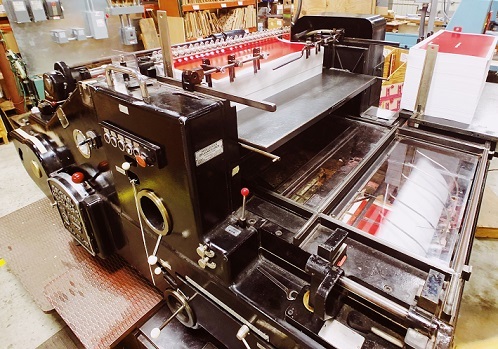 The highlight of bopi's printing technology, this press prints up to 18,000 press sheets per hour. That’s an astonishing 5 sheets per second! Quality isn’t sacrificed for speed as on-press cameras read color bars and direct the press to automatically adjust ink density in real time. Automated plate loading and wash up features make set up and clean up quick processes too. 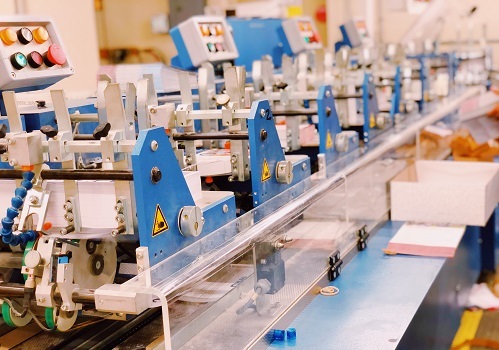 Using high reactive UV (HRUV) inks, the press achieves brighter and bolder colors regardless of stubstrate and the UV curing process speeds work along to bopi’s full-service finishing operations. For jobs requiring unique information printed on each page. 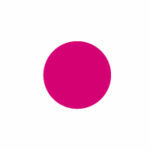 Using CMYK liquid ink, 12 x 18” pages are dry-printed and remain clear of smears and smudges. Frequently used to print financial statements and reports at a rate of 8,000 revs/hour. 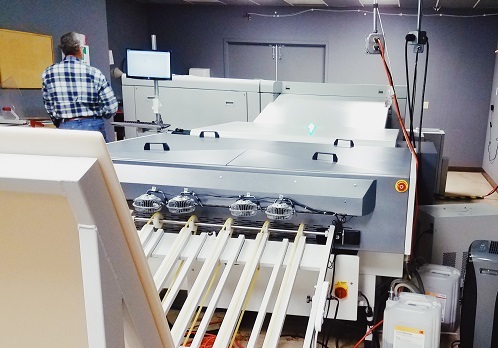 The Kodak Magnus Q800 Platesetter creates high-quality aluminum printing plates with reduced power consumption. Plates can be produced at a rate of 62 per hour. 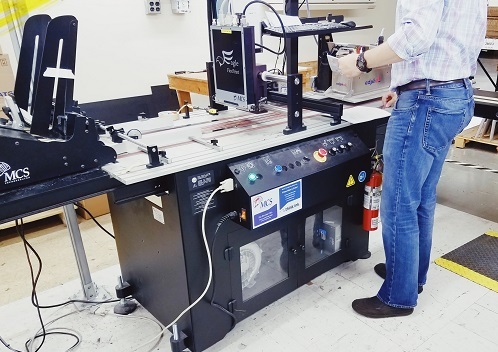 Equipped with SQUAREspot imaging technology, this platesetter automatically compensates for temperature-related plate expansion, maintaining color consistency throughout the job and eliminating variability. 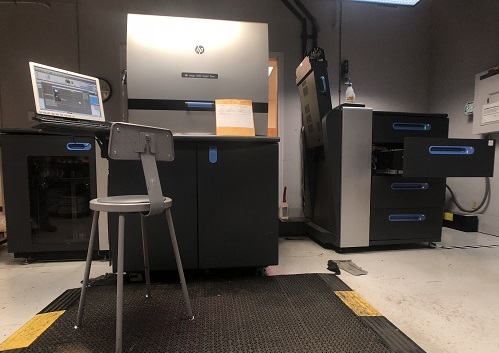 Plates printed on the Magnus Q800 are compatible with the KBA Rapida 106, and utilized for long-run printing projects. The MBO Knife Folder and MBO Buckle Folders add flexibility to bopi's line to fit customer's needs. Both types of folders provide unique folds to accomplish the right fold depending on the project. Buckle folders can fold items up to 30in and can achieve a complicated seven-panel accordion fold. 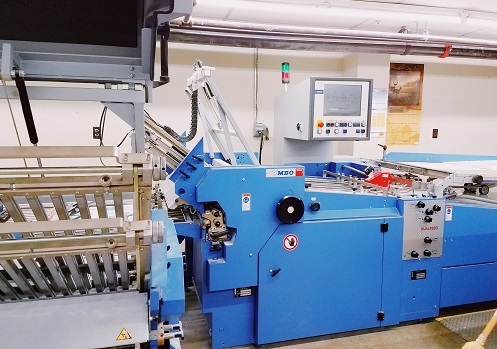 bopi has two Heidelberg cylinder die cutting machines that aid in creating unique pocket folders. 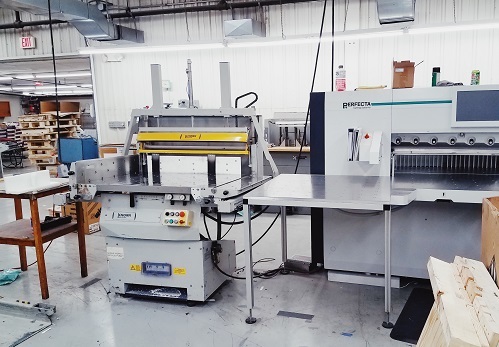 Using these machines, bopi delivers four million pocket folders to customers each year. The Heidelberg Stitchmaster is a high-volume six-pocket saddle stitcher that uses wire to bind thick documents and books together. The stitcher is equipped with cameras in each pocket, ensuring quality control. If pages are missing, the stitcher alerts the operator and stitching is stopped until corrections are made. The Perfecta 132 is a high-speed computer-controlled cutter. 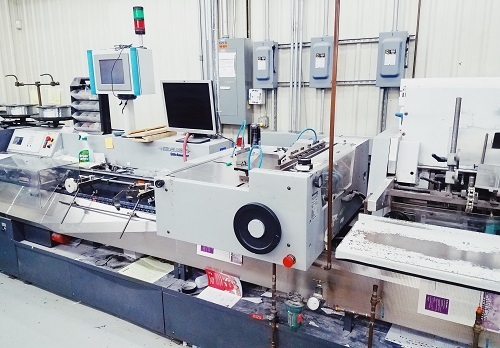 It can handle a high volume of cuts automatically and can cut papers, board, films, foils, and other intricate materials and types of paper. The unique Buhrs BB300 Envelope Inserter places separate documents in envelopes up to 10 x 13”. It is capable of "stuffing" up to eight items in each envelope. The MCS Think Ink uses a 4 ¼" print head for printing variable data in black ink. It also includes a 2" print head for variable printing in color.